Hi Friends! 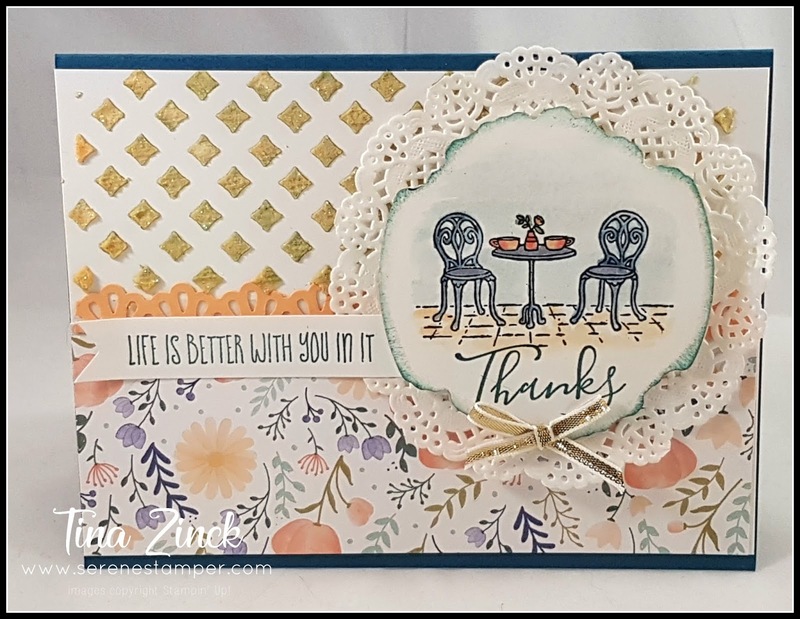 Today's card is another one I've made using leftover pieces from other projects. I keep a tub with extra die cuts, pre-cut DSP, ribbons, stamped pieces, etc. It's always fun to create something new with everything! To complete my card: I added colour to the stamp image using my ink pads and blender pen. 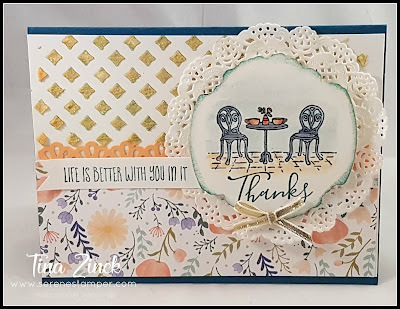 I mixed a few drops of Peekaboo Peach Refill with some Shimmery White Embossing Paste and spread it over the card with a stencil from the Pattern Party Decorative Masks.